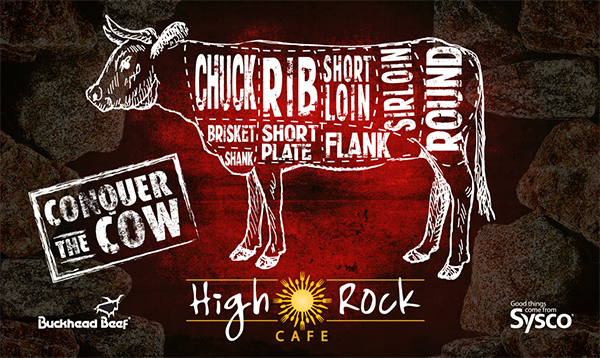 The Carnivorus tour – starting January 7th at the High Rock Café: a tour of beef, exploring nine different cuts, over nine a week period. Chef Justin Draper wanted to experiment and offer the community something new and different. For the next nine weeks the High Rock kitchen will focus on a section of beef and create three unique dishes each week. The goal of this endeavor is to inform the clientele about the wide variety of flavors and cuts that are available to them. “We are very familiar with 20% of the certain cuts of the beef,” Justin says, “but there is another 80% that few have heard of let alone, cooked.” For example the shoulder tender is a great buy from your butcher, coming in around five dollars a pound where as filet mignon is $24 a pound. It has a lot of the same qualities, shape, and is very similar in a lot of ways for a fraction of the price . This is just one of the many points Chef Justin Draper is hoping to highlight through the Carnivorous tour. As a way to make this epicurean adventure fun, the High Rock will be offering prizes to those who attend the Carnivorous tour. A punch card will be available that briefly outlines the beginning and ending of each week and the cut of meat highlighted. If you go to 1-3 weeks you receive a drink koozie, 4-6 weeks is a $10 gift certificate and 7-9 you receive a High Rock cutting board. “Wisconsin winters can be long and we wanted to give locals a fun activity to enjoy here in the Dells.” Justin explained. The Carnivorous Tour starts January 8th and ends March 10th. The regular lunch and dinner menu will still be available but the Season’s Freshest Menu will be taken over with Carnivorous Tour fare. A tour in beef might seem to favor only one type of clientele but in classic High Rock style the three creations will appeal to all foodies. The pricing as well, is meant to reach to all customers, it’s quite possible to attend all nine weeks for around $100. 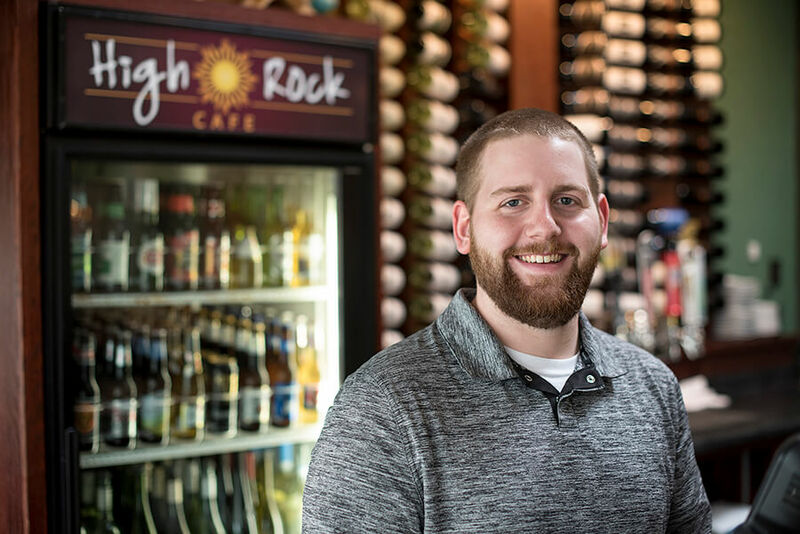 So if you or anyone you know enjoys cooking or creative cuisine, head over to High Rock this winter, we look forward to taking you on this delicious journey that is sure to delight any carnivore.